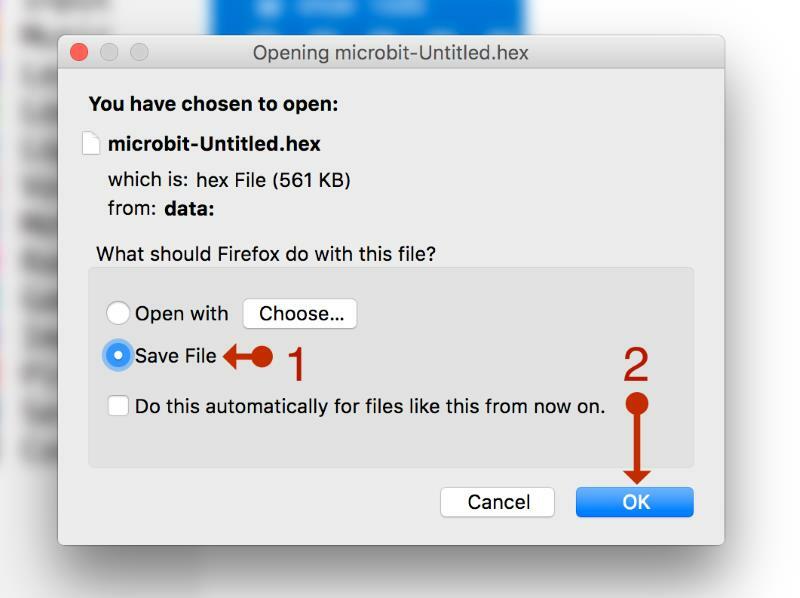 A dialogue box will appear, asking whether you would like to open or save your hex file. Select Save file and click OK and the file will then appear in your downloads in the top right of your browser. Right click on the file and click on Show in Finder and the file will appear in your downloads folder. Select the file and drag and drop it onto your MICROBIT drive.